Open on Mondays, Wednesdays and Fridays from 7 AM to 7 PM, Camp Belle Creek Doggie Daycare is a safe environment where your dog can interact with other dogs and people while you are out. Dogs are sorted into appropriate groups where they can play with others who are similar to them in size, age, and activity level while being monitored by a staff member to ensure safety. 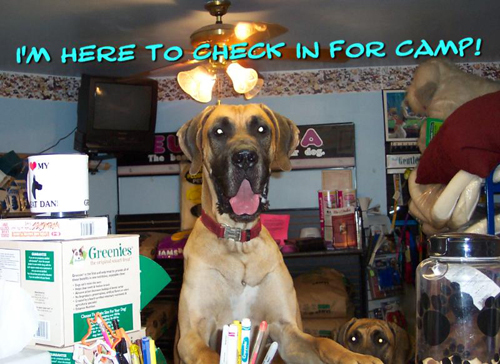 Camp Belle Creek Doggie Daycare is accepting applications for your dog’s enrollment. In order to ensure the safety of all concerned, each dog must be thoroughly screened and interviewed for compatibility and behavior. For more information feel free to call during our business hours.